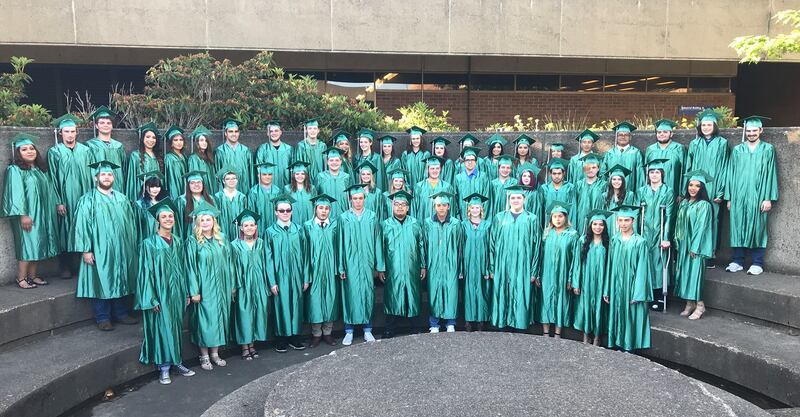 On Monday, June 11th, AOS graduated a record breaking number of seniors. The previously held record for graduates was 57, which was broken with 61 graduates this year. The graduation ceremony was held in the Russel Tripp Performing Arts Theater at Linn-Benton Community College. 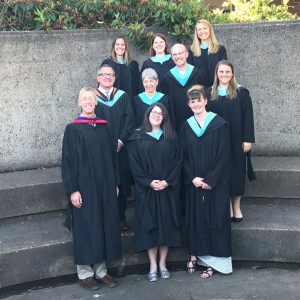 54 students participated in the ceremony, which included the AOS tradition of the teachers taking time to speak about each individual graduate. Yuritzi Rivas-Romero was the class speaker, who shared her experience of turning her life around when she came to AOS and the incredible love and support she received here. 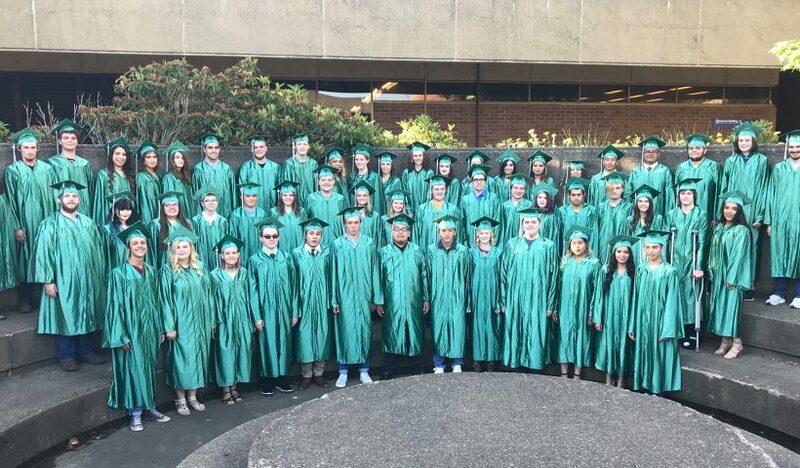 She challenged her classmates to keep growing and improving as they leave high school and go on to the next phase of their journey. As always, the AOS graduation ceremony was personal, emotional, and very special. We wish all of the best to the Class of 2018.